A heart rate monitor (HRM) is a great tool for monitoring the intensity of your training, making sure that you are not training too hard or too easy and that you are training safely. Training at the right intensities can result in faster progress with your fitness and less wasted time and efforts. Everyone can benefit from using a HRM: runners, cyclists, cross-country skiers, people training to keep fit and healthy, people exercising to lose weight and other casual exercisers. There is a lot of choice when it comes to heart rate watches. Many people ask "What is the best heart rate monitor for me?". Well, the answer will depend very much on what you are going to use the monitor for. 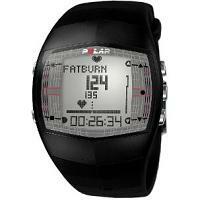 If you are exercising mainly in the gym, take a look at general fitness heart rate monitors. They usually enable you to set heart rate limits so you don't over- or under-train. Often they will also report statistics such as average and maximum heart rates after training is over. Many models will also count calories for you. Advanced models (such as the Polar F60) can even help you plan your workouts, acting almost as a coach. For runners, there are many running heart rate monitors on the market. On the basic models, features such as laps and countdown (or interval) timer can be expected. Many of the more advanced models will be able to measure running speed and distance. Increasingly popular are GPS heart rate monitors that use GPS satellite technology to track speed, distance and often routes. If chest straps have been giving you problems, maybe you can consider strapless heart rate monitors. Some people find chest straps cumbersome and uncomfortable, so a strapless model may be a solution. However, these models have some limitations. They generally don't offer continuous heart rate monitoring since you have to put your fingers on the wrist watch to measure heart rates from time to time. It is thus difficult to use them in intense exercises with no breaks such as running. Note that there is a product called ePulse2 which manages to offer continous heart rate monitoring without the use of a chest strap. Most heart rate monitors are unisex models intended for use by both men and women. There is also a growing number of models which provide versions designed specifically for ladies. These womens heart rate monitors come in many colors and shapes. So do have a look. If you have suffered from interference and crosstalk issues with your heart rate monitor then you may want to consider a digital heart rate monitor. The digital models greatly reduces such problems but they generally cost a little more than their analogue counterparts. Timex, however, has several digital models that are priced very reasonably. Many heart rate monitors come with a calorie counter. Many are reasonably accurate in their calorie estimates though some are way off. On this heart rate monitor with calorie counter page, you can read more about some of the better, more accurate models currently available. You can of course browse the whole web site and check the specs of the various models. The main brands are Garmin, Polar, Suunto and Timex. Check them out first. We hope that this web site will make it a little easier for you to make an informed buying decision. 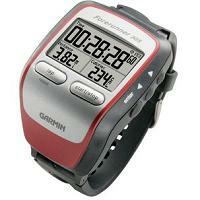 Garmin heart rate monitor watches are known for their advanced GPS technologies. The Garmin Forerunner 305 is one of the most popular and best-valued heart rate monitors on the market, packing a lot of functionaly at a very reasonable price point. Other great Garmin heart rate monitors include Garmin Forerunner 405CX and Garmin FR60. Find out more about Garmin's various heart rate monitor models. Polar heart rate monitor watches are the most popular ones in the world. They set standards that others follow. The excellent Polar FT60 is a great training tool for fitness and weight loss as it provides an individualised weekly training plan for the user to follow. 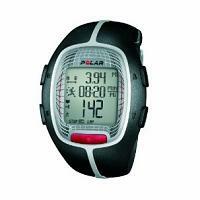 The Polar RS300X SD is a very good heart rate monitor for runners. Polar produces many different heart rate monitors to suit almost everyone's need. Furthermore Polar watches tend to be of very high quality. Find out more about Polar's various heart rate monitor models. Suunto heart rate monitor watches have a strong reputation among both serious athletes and casual exercisers. The Suunto T6d and Suunto T4d are advanced training tools that give users a lot of detailed feedback on their training and performance. Furthermore the T6d and T4d can be paired with foot pods for speed and distance information. Find out more about Suunto's various heart rate monitor models. 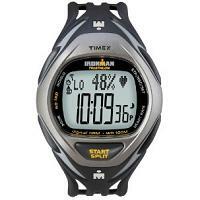 Timex heart rate monitor watches are some of the most popular and best selling ones on the market. They are generally of high quality and are well liked by users. Each model generally comes with various variants: they differ in size, color and design. The excellent Timex Ironman Race Trainer offers interval timers, laps, countdown timer, 10 session memory plus digital transmission. Find out more about Timex's various heart rate monitor models. Impact Sports has produced ePulse, a unique armband heart rate monitor that provides continuous heart rate monitoring without the use of chest strap. Furthermore it does so without sacrificing heart rate measurement accuracy. The ePulse2 is the 2nd generation product which improves upon the original ePulse both in design and features. Find out more. Mio heart rate monitor watches are very popular among women for their strapless designs. No chest strap means no possible discomfort. In addition Mio heart rate monitors are ECG accurate. Mio has now produced a large number of strapless heart rate monitors. Mio Motiva Petite is a great model for female exercisers. Mio Energy Pro can be used with or without chest strap. And Mio Motion interestingly incorporates a pedometer. Find out more about Mio's various heart rate monitor models. The Omron heart rate monitor model HR-100C is a perennial favorite. It has been around for a long time and yet it still commands a large following. It does not have any bells and whistles, just basic heart rate monitoring with heart rate training zone alerts. Its ease of use and low price are the main reasons for its ongoing success. The Omron is great for beginners new to heart rate monitoring. Find out more about the Omron HR-100C. 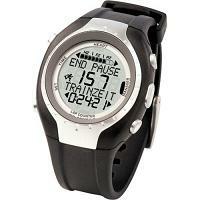 Sigma Sport heart rate monitor watches are made by a German company. The Sigma Sport PC 15 is intuitive to use with large multi-row display. It counts calories, takes laps and provides a host of information for user to review. Furthermore Sigma Sport produces the Onyx series of heart rate monitors that utilize wireless digital transmission. Find out more about Sigma Sport's various heart rate monitor models. Sportline heart rate monitor watches produce innovative products such as the Solo and Duo series of strapless heart rate monitors. These monitors are ECG accurate and have enjoyed increasing popularity. The Duo series are interesting because these heart rate monitors can be used with or without chest straps. This in turn gives users a lot of flexibility in terms of how they wish to monitor their heart rate. Find out more about Sportline heart rate monitor models. There are also a number of minor brands, such as Oregon Scientific, Acumen and Ekho. Note that the once-popular Nike heart rate monitors are no longer available for sale. We have provided some alternative suggestions on the main Nike HRM page for those who are still interested in getting a Nike model.